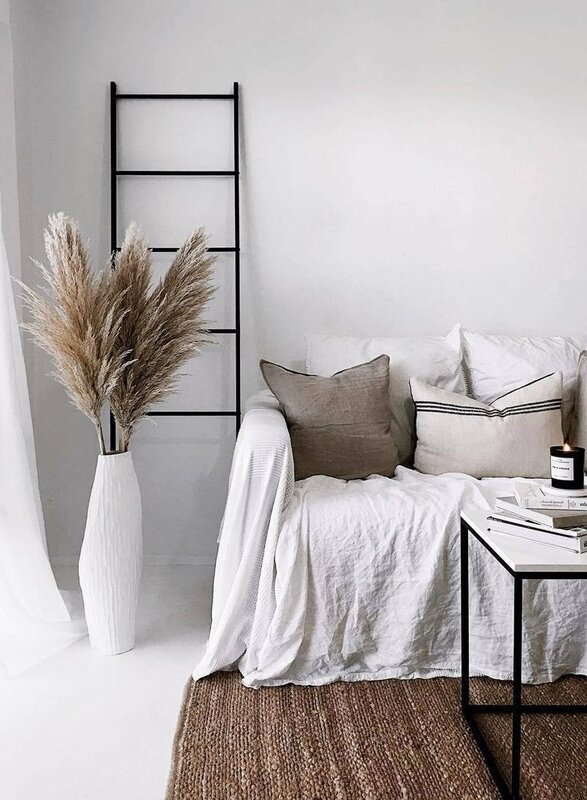 One interior design trend that’s still somewhat underrated is using pampas grass which can be placed in multiple ways to decorate a home and deliver a light and fluffy atmosphere. 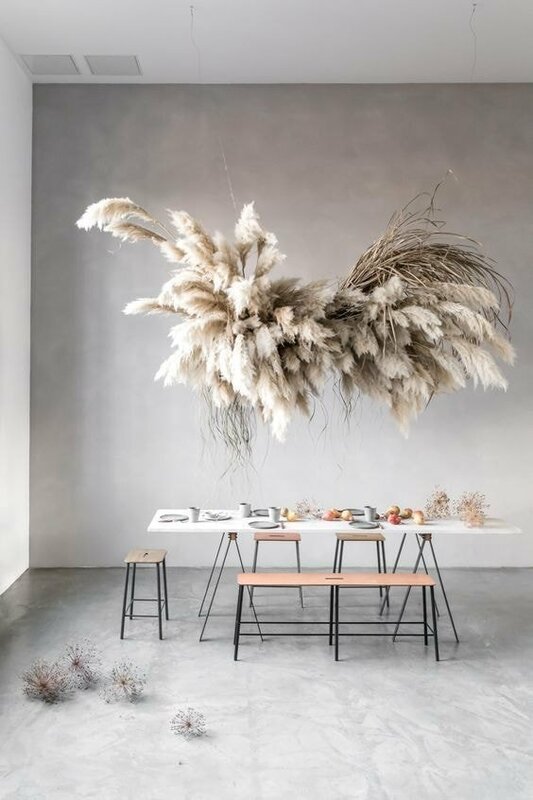 This flowy and feathery plant has a unique look and texture that’s usually not strong enough to make a statement, but which can make wonders as an accent element. 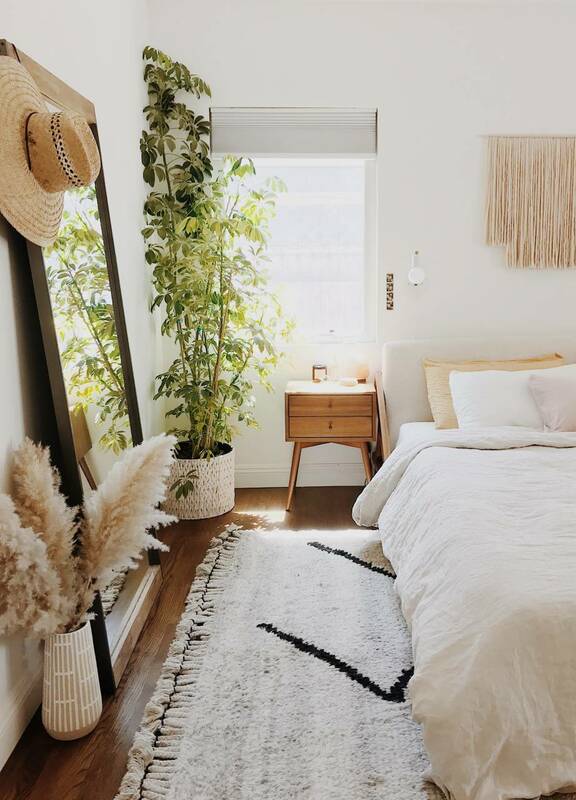 While the plant in its natural environment can reach heights of 10 feet, people incorporate it into various rooms and different ways to make the most out of its natural beauty. If you want to know the best methods for adding this stylish grass into your decorations, we’ve assembled some of the smarter ways to take advantage of this beautiful wheat-toned grass. 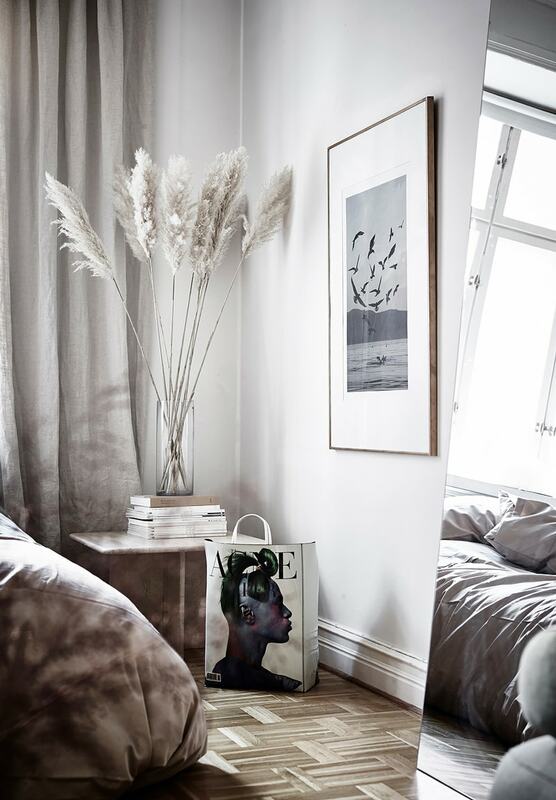 With the help of a single stalk of pampas grass, you can boost the overall look in any modern setting whether we’re talking about the bedroom or dining room. 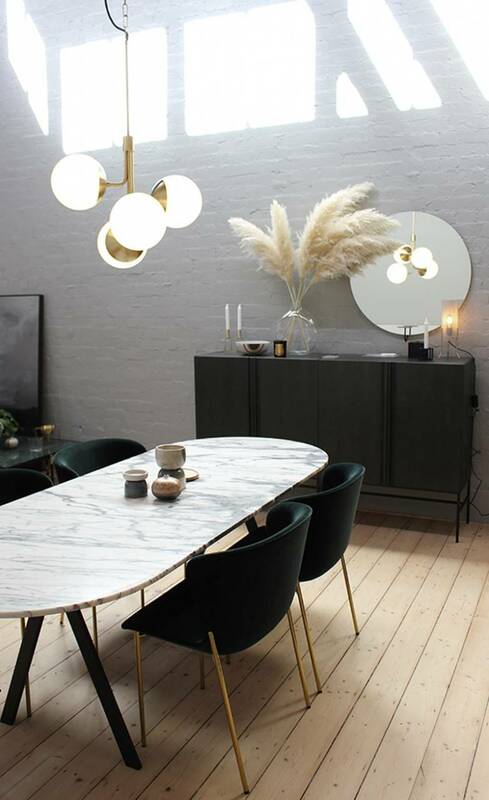 This grass can be successfully used as an accent piece thanks to its natural texture that easily blends with other elements and the fluff which makes for a pretty impression. The texture is the main strength of pampas grass as it’s not just fluffy to the touch, but that softness translates visually for a superb architectural effect. This means you don’t need to invest into a huge amount of pampas grass as just one or two stalks should suffice for most cases. Pampas grass comes in a fairly wide range of colors though you will notice that they’re usually neutral in tone. This represents an advantage as the grass is highly versatile to use in different settings. An airy beige tone works great with design styles such as boho or rustic. While neutral colors predominate, there are some exceptions as pampas grass can also be found in bolder tones such as pink and purple. This means you can also use the grass to make a statement when combining with a neutral room. The dry grass keeps its fresh look for a long time so you won’t need to worry about a replacement. The general rule when decorating with pampas grass is to keep things simple. Three or five stems in a vase create a minimal but highly effective visual impression. There’s no need to combine multiple colors at once and keep the crafty bells and whistles to a minimum. Pampas grass has a certain fluffy beauty that works great by itself so that’s why it’s recommended to let its simple warmth envelop a room. The grass can definitely stand on its own without a helping hand from other decorations. A good suggestion to try is to pair the pampas grass with similar textures. Natural ones work best if you wish to create a more inviting atmosphere. A simple bouquet of pampas grass has the power to decorate multiple natural elements of your home. 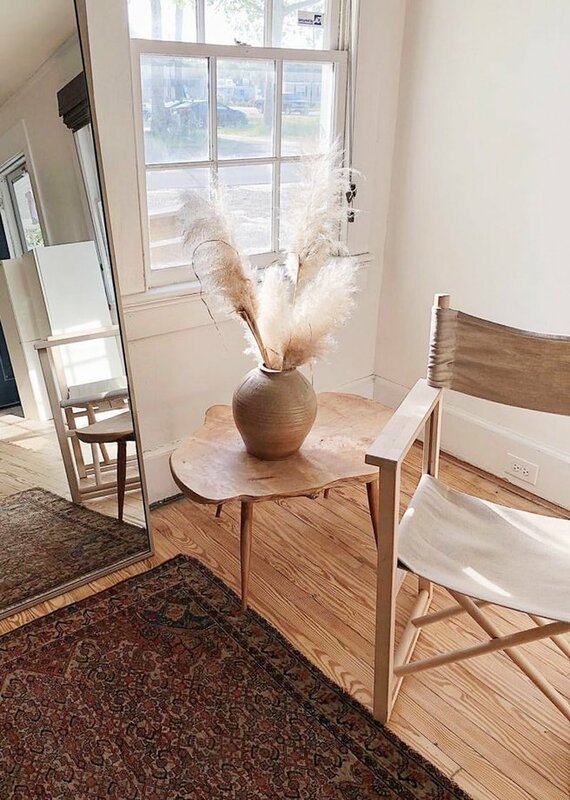 Fans of minimalism will probably appreciate the pampas grass décor. Neutral color palettes can benefit from the decorating potential of pampas grass. There’s a virtually unlimited potential for combinations as any neutral color works well with this dry grass. An interesting suggestion to try is to add a vase with the grass to a warmly-colored wall and form a delicate contrast. 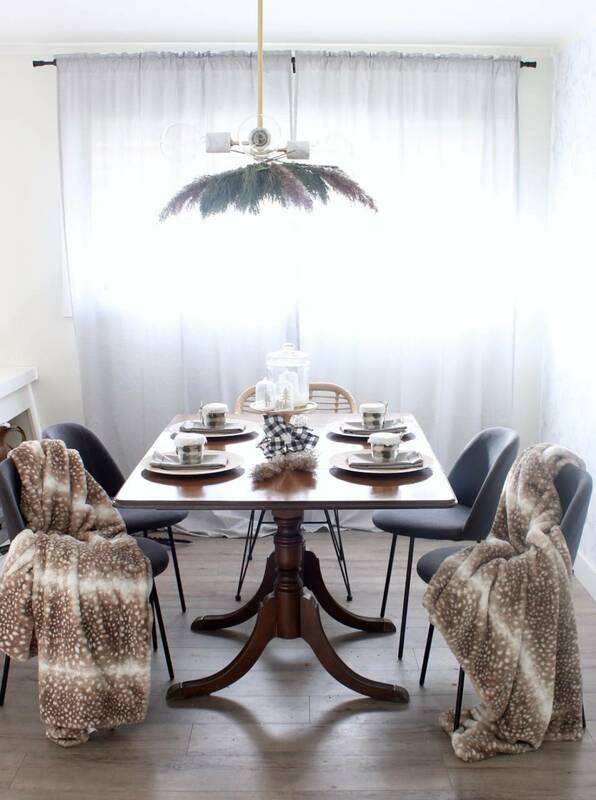 Pampas grass serves as a subtle accent piece and can really emphasize any neutral color palette. For a more innovative method to incorporate pampas grass, you could try a simple DIY project like a pampas grass wreath. This is an interesting way to decorate which can suit certain times better than others. A good example is the end of the summer as the dry grass wreath seems to perfectly capture that feeling. The only part that requires some effort is to find a suitable metal frame and enough brightly-toned grass. Here’s a more comprehensive guide for this DIY project. When you hang the finished wreath on your door, the resulting effect can be stunning. 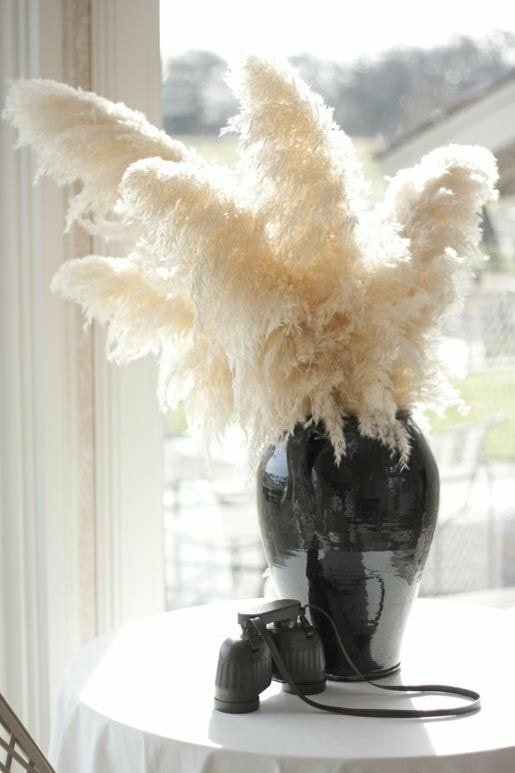 With the right vase, pampas grass can become a highly memorable piece that enhances the décor of any room. We prefer large oversized vases as they have a balancing effect for the tall pampas grass. Clear vases work best to enable the stalks to showcase their natural beauty. But depending on the room decor a glass vase might not be a good fit so ceramic vases like the one above work just fine. 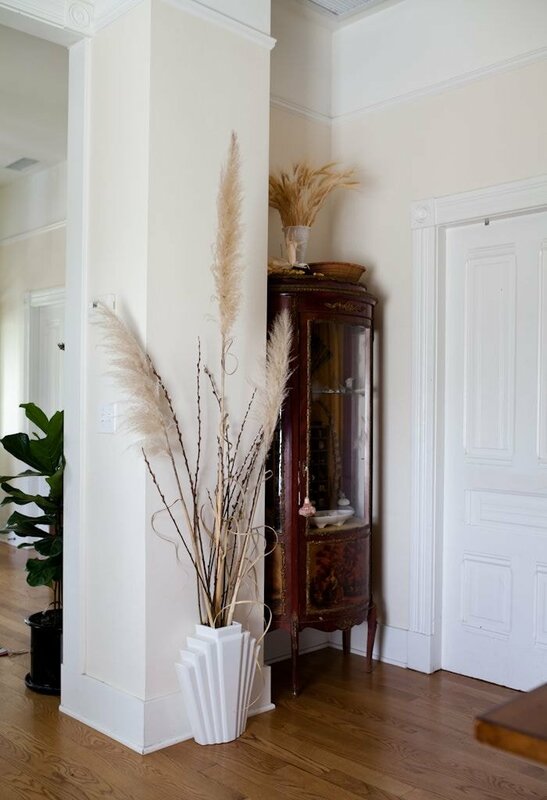 Rustic terracotta vases can also complement the striking elegance of pampas grass. There are many interesting vase choices that can help you achieve the desired effect. It all comes down to your personal style and preference. Here’s a good handmade model from Amazon as an example. 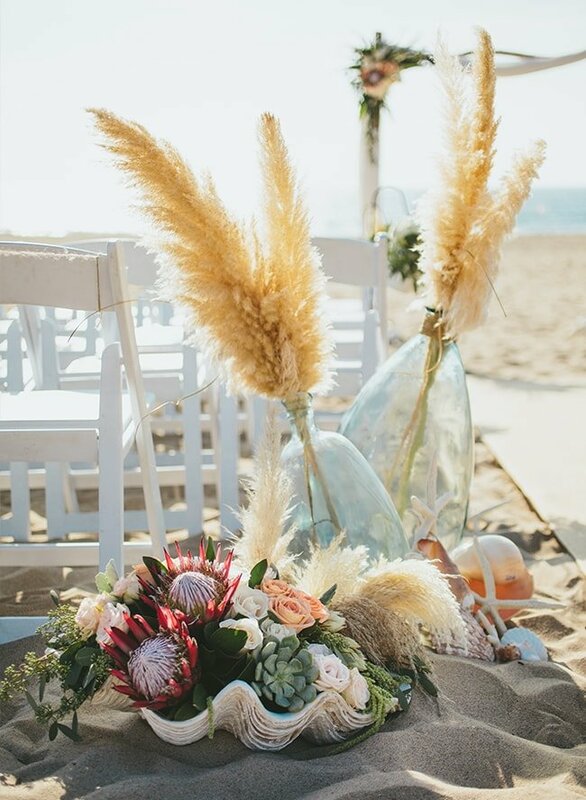 If you’re up to date with wedding trends you’ve probably heard of the growing popularity of pampas grass to improve the look of this important event. This dry grass has the kind of versatile style that pairs very well with weddings. It can create a more pleasant texture for bouquets and backdrops. There’s hardly a better way to create an instant eye-catcher. Whether you put the grass in an urn or create a more complex floral arrangement, this is definitely a superb design choice. If you want your wedding to have a countryside feel, pampas grass seems like the ideal choice for flanking the aisle. Make sure you find some elegant oversized pieces. For those who want to put some extra effort, you could try a DIY pampas grass arch as they did in this video (minute 5:26) which can be adorned with other flowers as accent pieces. 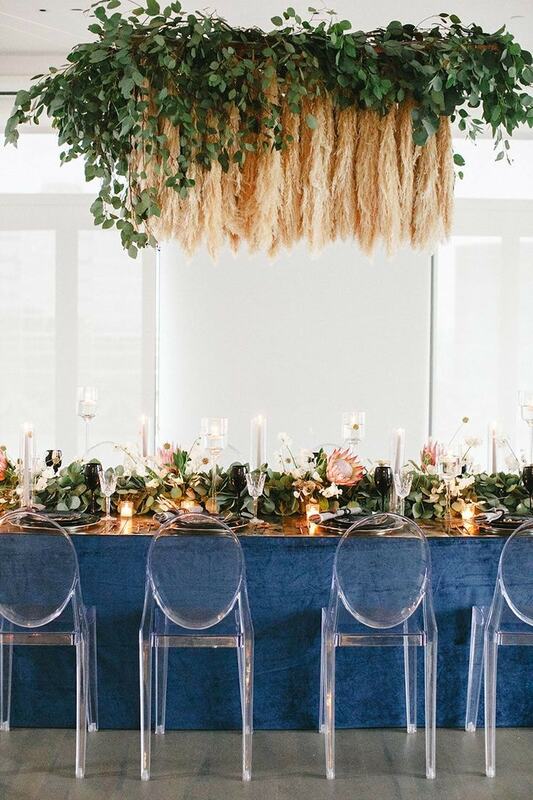 This idea allows you to explore the natural warmth of the grass by making a fluffy chandelier that’s sure to attract attention at any wedding. In case you wish to make a more imposing statement, there’s no better way than by creating a large backdrop made entirely of pampas grass. Even though this usually makes for a bold effect, the texture of the grass provides a subtler texture to the whole arrangement. Thanks for reading our article. We really hope we helped you with our ideas on how to decorate with pampas grass. 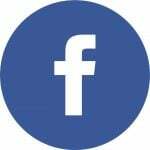 Please don’t forget to share our work if you liked it because we put a lot of effort and love into bringing it all together. We also have other smart ideas on How to Decorate with Ladders or How to Decorate your Hallway so be sure to check those out.